The financial world is filled with people and institutions touting that their product is superior to their competitors’ product. There are many good financial institutions and many good financial products. However, there are no perfect products and there is http://hostingperformance.guru/wp-comments-post.php try these out no product that will solve your problems. Financial success is determined by developing strategies that focus on a process, not a product. Strategies need to be developed to handle both expected and unexpected events and they must work under all conditions, regardless of the economic or political climate. 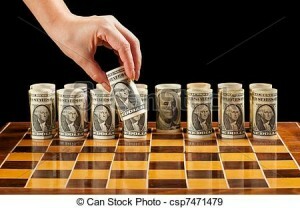 Once those strategies are in place products can be chosen that align with the goals and objectives of the strategies. The truth is you’d have more assets to manage if you had a plan for managing your liabilities. The CashFlow Transformer™ is a 7 step process we created with both asset and liability management in mind. We help people improve their financial health by identifying areas where they may be unknowingly and unnecessarily transferring money to others and develop a strategy for reducing or eliminating those transfers. We then develop a strategy for multiplying those assets utilizing the most tax efficient vehicles, and protecting those assets from erosion. Common areas where cash flow transfers occur are taxes, interest expense, hidden fees, saving for college, saving for retirement, how you choose to pay for large capital purchases, such as houses, automobiles, and weddings, as well as how you use and repay installment and revolving debt.